Hannah over at Ergo Baby gave me the opportunity to give away an awesome Ergo carrier ! After trying the Ergo out for the first time and getting the feel of it I fell in love.. I have had the traditional front carriers before only to be left with sore shoulders and a achy back..No joke..The Ergo baby carrier fits your needs.. 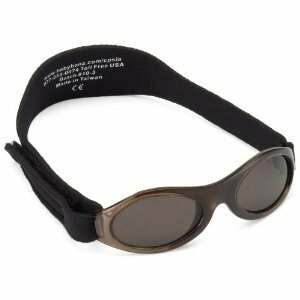 The straps adjust so it forms to your shape and you can wear it front,back or side. The carrier sits more on your hips which leaves no strain on your back and shoulders. I was surprised to actually hold my 3 year old with no problem! My two older kids love to play out side and my 14 month old always stands by the door wanting to go out… I feel so bad as I see his little face staring out the screen door watching the others have fun.. I don’t let him out because he can take off in to the street and usually if I go out there I am forced to hold him in my arm the whole time..
Not any more! Now I stick him on my back in the ergo and go out and play with the kids! My toddler loves it and is completely content the whole time.. I also get allot of gardening done with out feeling like he is going to fall out! I just love the support I get from the Ergo! I went to Disneyland (we go like once a week) and had my toddler in the traditional front carrier (baby Bjorn) my back and shoulders hurt by the time noon hit! That’s when I decided to try the Ergo… Went back to Disneyland and was able to hold my toddler on my back the WHOLE day with out PAIN and not only that he was happy the whole time! WOW! Definitely a winner for me! I also use it for grocery shopping! Before the Ergo grocery shopping was a mess with a 14 month old, 3 and 5 year old.. Normally I would have Caden in the seat of the cart, Lauren in the basket and Ethan would walk.. Well Lauren would eventually have to walk to fit the grocery’s in the cart which left her throwing a tantrum.. and no matter how tight I do Cadens belt he ALWAYS finds a way to wiggle his way out which leads him to eventually standing.. Very unsafe.. Grocery stores should offer 5 point harness in there carts! Now that I have the Ergo Life is a breeze grocery shopping.. I stick Caden on my back in the Ergo, put Lauren in the seat in the cart and Ethan walks..and yes…every one is happy!! No tantrums and no babies standing up in the cart!Ergo has made my life with 3 kids a BREEZE!!! Thank you Ergo! Using the ERGO baby carrier gives you continuous connection, fabulous feeling of freedom, and security knowing your baby is safe. The ERGO baby carrier is the best of all the baby carriers on the market. It was designed by Karin Frost and has undergone extensive testing by tens of thousands of parents. Its innovative design makes wearing your baby comfortable for hours at a time, gives you the freedom to remain active and productive in your daily life, and holds your baby secure to your body so you are Hands Free. ERGObaby’s baby carrier design supports a natural sitting position for babies, eliminating compression of the spine and hips that can be caused by unsupported suspension. The baby carrier also balances the baby’s weight to parents’ hips and shoulders, and alleviates physical stress for the parent. 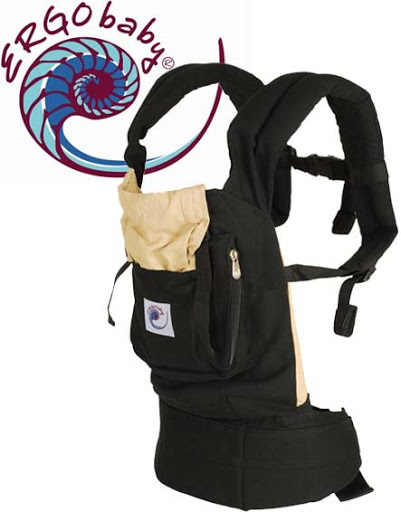 Want to win this Ergo carrier Pictured Below!! Well here is your chance to get it FREE!! Wait that’s not ALL! Who ever is the 50th commenter will win a Brand new pair of Baby Banz like the ones pictured below! You were the 50th commenter! YOU must write a comment for each thing you do for it to count!!! *And to make this contest a little bit more interesting, sporadically after the contest starts I will be asking questions (once a day) about what I have written about in my blog. Keep an eye out because the questions will be hidden in future posts! I will also be asking some questions in my community! Who ever is the first one to guess it right gets 2 extra entries!!! Sounds Fun right! Have fun! Contest open to US residents only and you have 48 hours to contact me after the contest ends or else a new winner will be drawn.. There is also a link at the top of my blog that directs you right to the contest!